Downtown Dubai and Dubai Marina. The new prestigious area of modern building around a skyscraper of "Burj Khalifa". 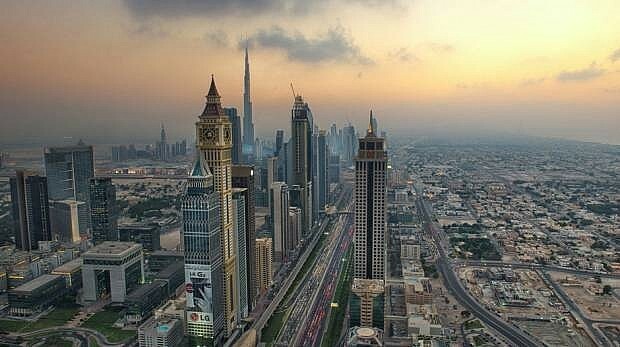 There is the largest in the world shopping center — Dubai Mall, and in the evening the dancing Dubai fountains which is at foundation of Burj Khalifa, the highest building in the world can admire. On the contrary Dubai of mall is located "A bough al Bahar" — the mall stylized under the Arab market, in which assortment traditional goods. On the area the Downtown is started a new excursion route of The Boulevard Bus Tour: by special bus tourists will be able to get acquainted with all the main thing sights of this area, including the highest tower of Burj Khalifa in the world, Burdzh-plaza, Dubai mall, the Downtown Dubai Pavilion, etc. On the route passing through Mohammed Bin Rasheed Boulevard 11 stops are provided, and during the day passengers can enter and come to any of them. 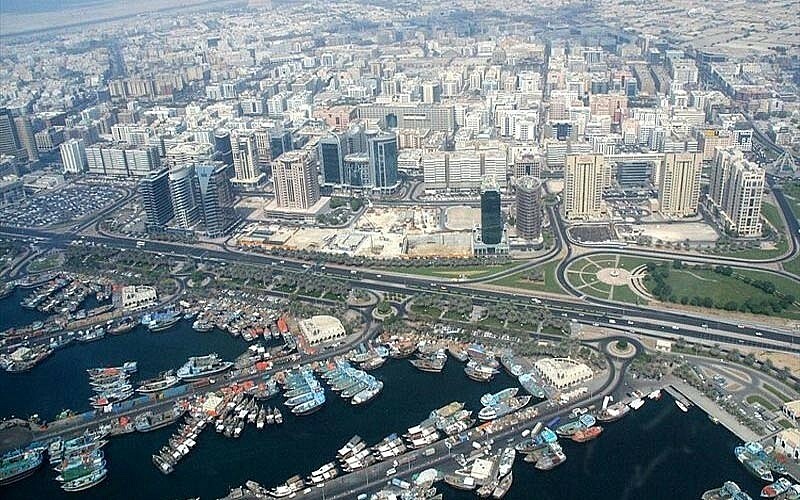 The new district of the city, coastal part has the extent of 3,5 km, an internal part of an artificial lagoon (from the Dubai international sea club to Sheraton Jumeirah hotel) — 9 km. On a promenade of The Walk restaurants, day spa, shops are located. 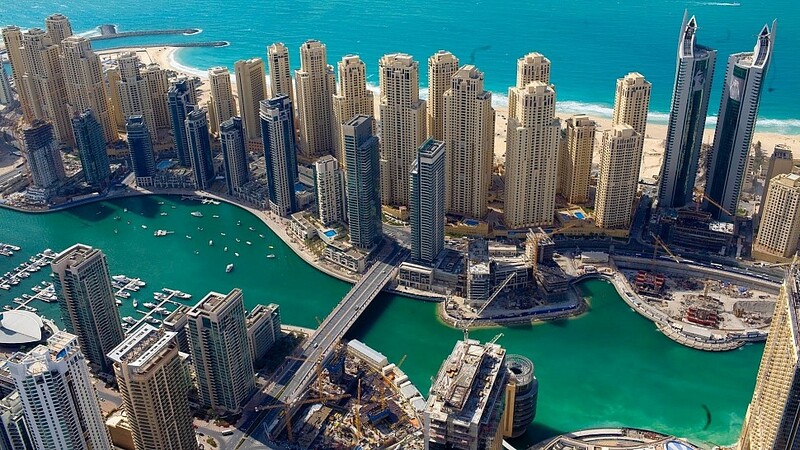 Here too there are high-rise residential buildings — Jumeirah Beach Residence, five-stars and four stars hotel objects, Dubai marine and Dubai Marina yacht-club mall. 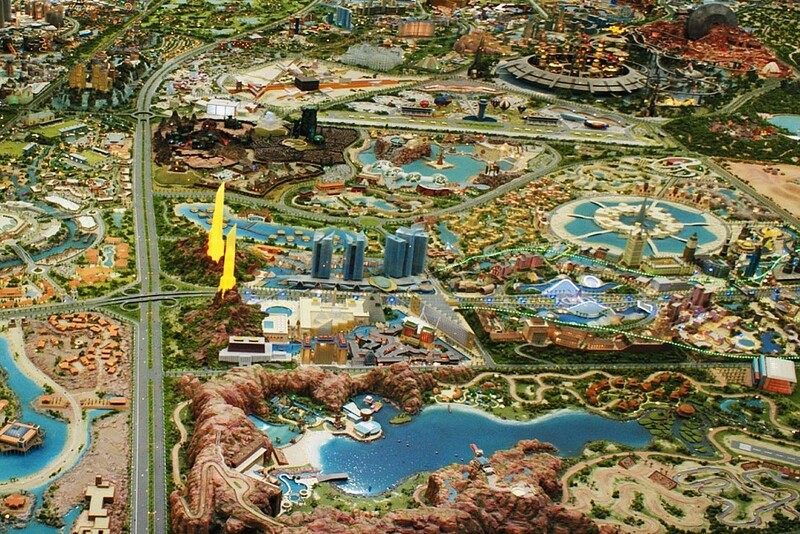 Dubailand twice surpasses the sizes of "Disneyland" in Florida and by 100 times — the territory of the Principality of Monaco. Total area exceeds 280 sq.km, huge entertaining zones, sports constructions, shopping centers, tourist and residential areas are placed here. The megaproject Dubailand includes today more than 25 approved independent projects which will come into operation in process of their end. Construction is supposed to be ended by 2020. "The world village". During the Dubai trade festival the national pavilions representing national crafts of many countries of the world are located here. Al Sahra Desert Resort. The unique resort in the desert in half an hour of driving from Dubai offering to visitors refined restaurants, traditional east market, fashionable country houses, boutique hotel in style of medieval caravanserais. The new what and tourist park "Desert Ranch" opened. Dubai sports city: The Dubai international stadium for cricket on 25,000 viewers. Ernie Els's golf club. Campus of academies. The well-known School of golf of Batcha Harmon, the World academy of cricket of ICC, football school Manchester United, the World hockey academy, Tennis academy of David Lloyd work. Dubai the outlet mall to Dubai the outlet city. The eclectic Deira who added in herself old times and the present offers tourists both east markets, and ancient boat pier, and the surprising shining skyscrapers with which business quarters of the emirate begin. Here too there is a shopping center Deira City Centre, golf and yacht-club, the restaurant Century Village complex, and also the Dubai Festival Centrer. Bur Dubai — one of the most favourite districts of the emirate among tourists — is famous for historical sights, for example, for ancient merchant quarter of Bastakiya with wind towers. Besides, here it is possible to enjoy types of an ancient fort (nowadays — the museum of Dubai), to walk on the raging business quarters, to glance on a textile market and just to sit with a hookah atilt in numerous cafes on the bank of the gulf. 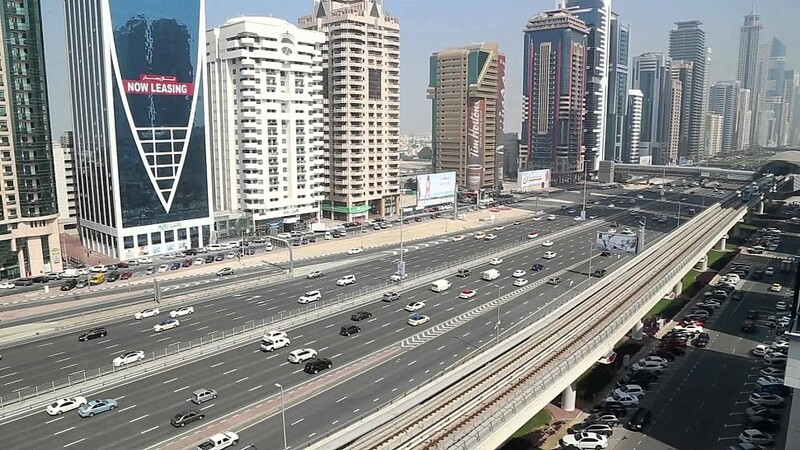 The largest and extended street of the emirate 12 strips wide — it the certain area — extends from an outcome at shopping center Trade Centre Roundabout towards Abu Dhabi along the sea. Along it — a set of hotels, restaurants, shopping centers and skyscrapers. 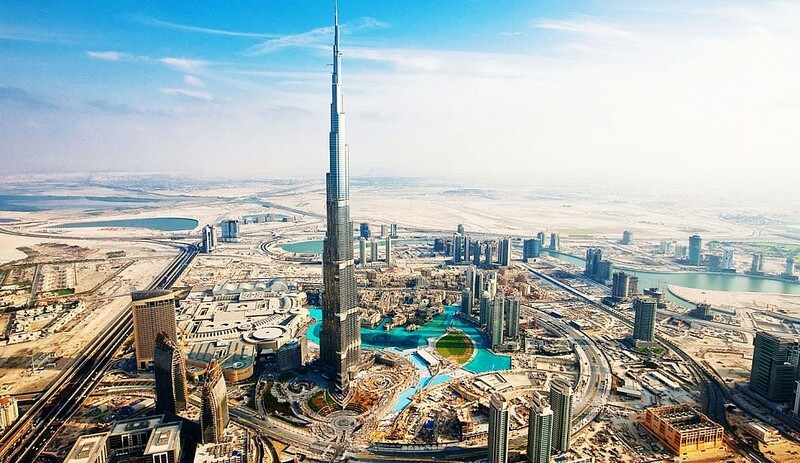 There is a magnificent Fountain of Dubai and dizzy "Burj Khalifa" — the highest building in the world. 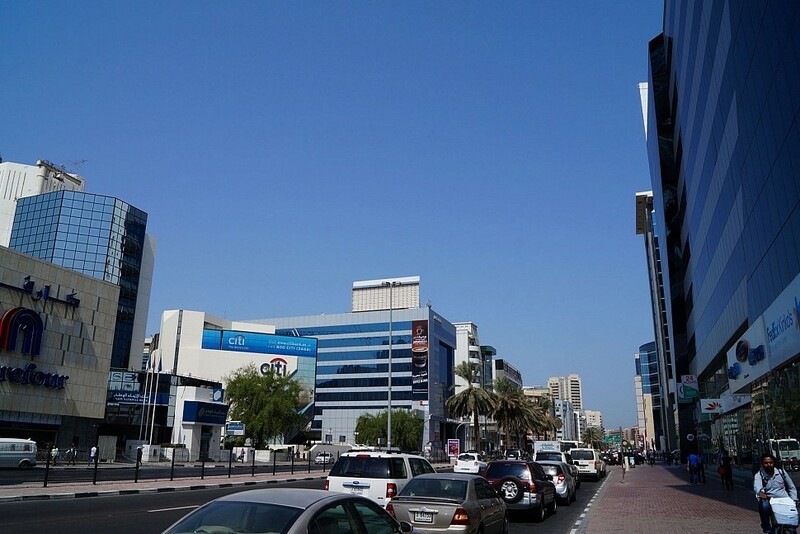 Jumeirah — rather elite suburb, than the district of the emirate where there are best hotels of the UAE. And also art galleries, boutiques, parks, magnificent beaches, beautiful women and expensive cars. In a word, to "dolcha of Vit" in Arab. The coastal Jumeirah Beach Park invites tourists to sunbathe or ride a bike, and Safa oasis — to have a good time on attractions and is modern the equipped sports grounds. Jumeirah is adjoined also by the legendary man-made island "Palm tree" which top the ашму-stars hotel Atlantis crowns. Al Satwa is famous for the clothing stores and very much reminds Dubai of years so 10 back. However and this area got recently under attention of the powers that be so in the next one or two years it promises to turn into the second Jumeirah.